A third text from Luke exhibits the offensive inclusivity of Jesus’ family, this one from the Book of Acts. 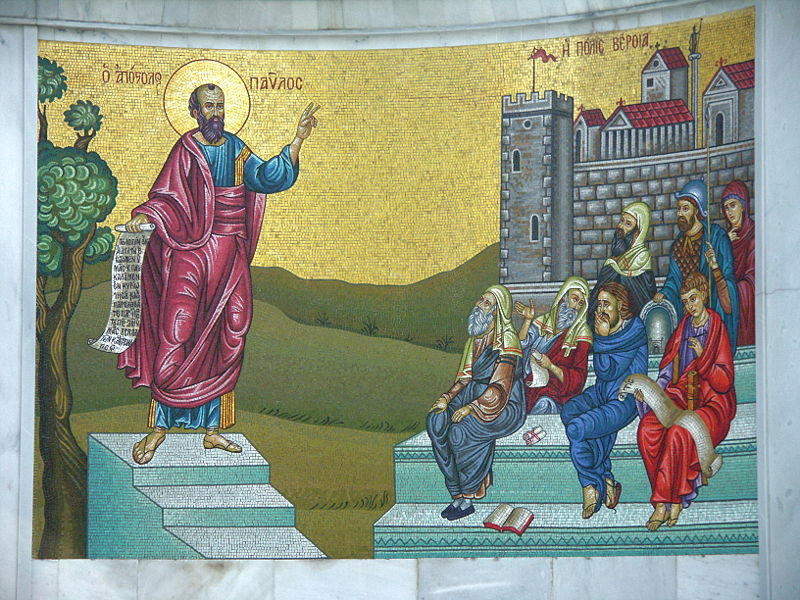 At the end of his third mission, Paul arrives in Jerusalem (Acts 21:17). It’s Pentecost and the city is jammed with pilgrims and heightened religious fervor. James informs him that his presence in the city is going to cause trouble. The problem is that there are “many thousands” who have become followers of Jesus who are “zealous for the Law.” This description may indicate the large group of Pharisees among the early Christians or those who are passionate for obedience to the Law as an expression of Christian discipleship. Word has spread among them that on his missions Paul is telling Jewish parents to stop circumcising their sons and to cease observing the customs, practices that amount to “forsaking Moses” (Acts 21:20-21). This is a complete misunderstanding of Paul. He’s been advocating that gentiles don’t need to convert and become Jewish in order to be saved, but he has not been preaching that Jews should no longer be Jewish. What shall we do? They will certainly hear that you have come, so do what we tell you. There are four men with us who have made a vow. Take these men, join in their purification rites and pay their expenses, so that they can have their heads shaved. Then everyone will know there is no truth in these reports about you, but that you yourself are living in obedience to the law (vv. 23-24). Paul does this, but is spotted by some Jews from Asia who stir up the crowds and attempt to kill him (Acts 21:27-32). Paul is arrested by Roman soldiers and makes a speech to his fellow Jews, a significant number of whom were followers of Jesus. Even though they’re fellow Christians, they are subject to this mischaracterization of Paul. Luke records his speech in Acts 22:1-21. He tells them about his dramatic and arresting call by the risen Lord Jesus as early as v. 8. His audience isn’t provoked at all by that, likely indicating that many are followers of Jesus and that those who are not regard the early Christians with favor. “When I returned to Jerusalem and was praying at the temple, I fell into a trance and saw the Lord speaking to me. ‘Quick!’ he said. ‘Leave Jerusalem immediately, because the people here will not accept your testimony about me.’ “‘Lord,’ I replied, ‘these people know that I went from one synagogue to another to imprison and beat those who believe in you. And when the blood of your martyr Stephen was shed, I stood there giving my approval and guarding the clothes of those who were killing him.’ “Then the Lord said to me, ‘Go; I will send you far away to the Gentiles’ ” The crowd listened to Paul until he said this. Then they raised their voices and shouted, “Rid the earth of him! He’s not fit to live!” (vv. 17-22). It’s the mention of gentile inclusion in the people of God that was a cause of trouble for the first generation of the followers of Jesus. The church had hammered out a solution at the council in Acts 15, but welcoming non-Jews into the family of God continued to agitate sentiments driven by Jewish racial prejudices. Throughout his two-volume work, Luke continues to indicate that the inclusivity of God’s family was an offense to the people of God. Learning to embody the gracious embrace of God was a challenge back then and it continues to be a challenge for us.